In addition to the events and exhibits that Arts Council volunteers organize, we also serve as Fiscal Sponsors for various arts and culture organizations. These are individuals and groups that have great ideas and enthusiasm, a leadership structure or plan, and the ability to produce their own events and services. They all contribute something unique and important to our community and they need to have the sponsorship of a an organization that is incorporated, in good standing with the State of NM, and recognized as tax-exempt under section 501(c)(3) of the Internal Revenue Code. 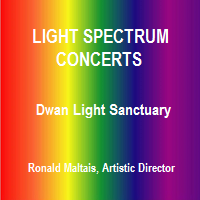 Ron Maltais, director of Meadow City Academy of Music has consolidated both the Castaneda Concert Series and the Light Spectrum Series under the Academy, with one board of directors for all. an opportunity to enrich the economy of Las Vegas by promoting the arts in all their forms, entrepreneurial artists, and businesses that support arts and culture tourism.